Chronic and Acute Pain Relief can be realized most effectively with this advanced training and application of Cranial/Structural work. We do not simply address the symptoms, we go after the cause. Determining how to address the issue that is producing neck and/or back pain, or any other part of the body depends on adequate evaluation and addressing of the body’s structure which is at the cause of chronic and acute pain. This is why we first visually assess the structure by observing the client standing so their weight-bearing structure emerges. We are then able to see the strain patterns in the body. In the case of almost every client reporting a painful condition, there is an imbalance in the pelvis with one side rotating forward and one rotating backward. We then can use this assessment to create an individualized treatment plan. Every person's body is different, and each treatment session is specific to their issues and body. These advanced energetic techniques address the SBS joint, just above C1 of the spinal column. This point of the sphenoid and occiput within the depths of the cranium is a focal point of the neurosystem to shift and balance the entire musculoskeletal system. Once this joint moves into alignment, the rest of the structure can now move into alignment because of the relationship between the cranium and the structure of the whole body. As above, so below. We have found over years of extensive research and treatment, that the sphenoid and the pelvic bones are intricately related. As the core distortion is released, we are actually affecting the alignment of the pelvic bones as well. This begins an unwinding process throughout the whole body and often produces dramatic relief. As the body begins to stabilize, the structural compensations begin to release throughout the body, relieving stress on the joints, spine, and discs - and the possibility of being pain-free can become a reality! By combining deep tissue massages and cranial/structural techniques we are able to balance your structure releasing many of the issues that have caused your pain. We specialize in providing sciatic pain relief (also referred to as sciatic nerve pain relief), myofascial relief and many other effective treatments. Whether you are in recent pain or have had a long-term issue, we have been able to help many people live a pain-free life. We have been helping people find relief from many conditions associated with whiplash flexion/extension injuries, headaches, neck pain, shoulder pain, degenerative disc disease, hiatal hernias, herniated discs or bulging discs, carpal tunnel, nerve entrapment, sciatica (providing sciatic pain relief), low back pain, hip pain, knee pain, or foot pain and tailbone pain – that is usually related to the musculoskeletal structure. By addressing and releasing the core distortion pattern through a combination of techniques including deep tissue massages and cranial release we are able to achieve pain relief, homeostasis, and return to normal function. Some of the most common distortions are joint pain, scoliosis, headaches, back and neck pain, TMJ, fibromyalgia, disc conditions, carpal tunnel, and nerve entrapments to name a few. All pain has a cause and a solution. 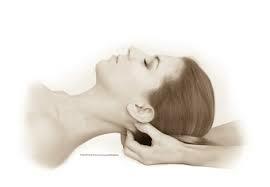 Cranial/Structural Energetics offers hope for those suffering from acute and chronic pain and dysfunction. The result is long-term rehabilitation from your painful symptoms. FPI – Facilitated Pathways — Releasing the external cranial nerves through points on the cranium. Integrating myofascial restructuring, emotional energy release, acupressure, kinesiology, muscle testing, postural analysis, scar tissue and adhesion release, deep tissue massage therapy, and rehabilitative therapy provides sciatic pain relief, nerve entrapment and many more treatments for pain. Incorporating Cranial/Structural Core Distortion Release techniques to initiate the unwinding of the core distortion pattern (a pattern in the body that cause pain) which facilitates the release of soft tissue. Addressing the primary area of discomfort using a specific sequence of techniques and applied protocols to release any restrictions causing imbalances in the other areas of the body so the improved alignment is supported. When this is accomplished, the whole structure supports balance and function, and maximum rehabilitation is achieved. We combine several techniques designed to release restrictions and re-balance the body to give relief from acute and chronic pain. Whether you are in recent pain or have had a long-term issue, we have been able to help many people live a pain-free life. Rehabbing many problems associated with the spine including: scoliosis, degenerative disc disease, bulging discs, herniated cervical disc, herniated discs, nerve entrapment, peripheral nerve damage, stenosis, whiplash, hyperlordosis, hyperlordosis, reverse curvature of the neck, arthritis, osteoporosis, surgical scar and adhesions, surgical complications and much more. Advanced Osteopathic Bodywork’s intention is to re-establish the core midline — that through Trauma, stress, and events that seem out of our control disrupts our core patterns from which our body is built. This core is subtle, but without its authentic integrity, our body fails to reach its’ full potential. This assessment and focus are primary for the body to heal itself successfully. Although this work is subtle, it is truly the most powerful work one can receive. It is not by force, but the power of energy that can realign and empower us. This training/work is based on the teaching of Dr. Steven Weiss, D.O. and I am so very grateful to have had this training. It has expanded my efficacy in so many ways. Thank you, Dr. Weiss for your inspiration and knowledge.